Who doesn't love incorporating some playful pattern into their look?! This patchwork skirt was a compliment magnet, plus it's available in tall and regular sizes - my fellow tall gals, I feel you. 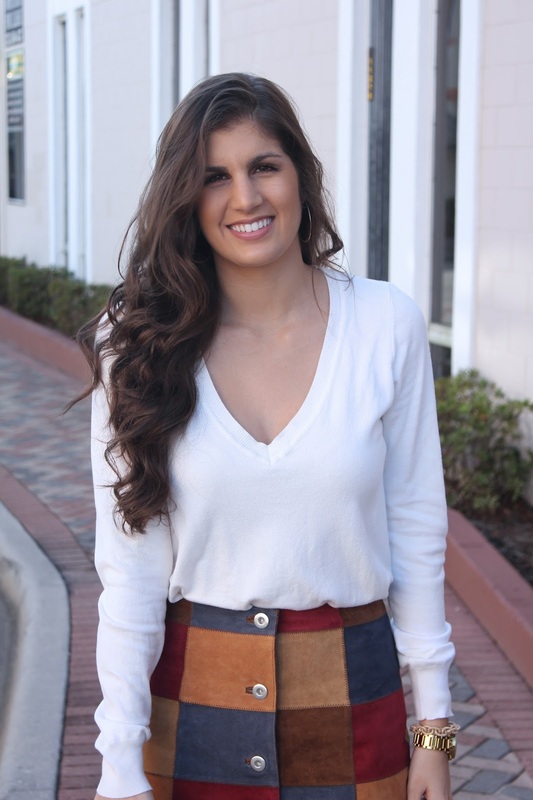 This layered look was perfect for roaming around downtown and transitioned easily from a morning coffee date to and afternoon gathering with the gals to celebrate a birthday! I'll admit that I'm soooo looking forward to the expected cold front coming through this weekend! Even if it affects Florida for just a couple days, any day that I'm not sweating while walking to and from my car is a great day. I get a lot of comments and questions about my hair, so I've also linked the curling wand that I swear by (and it's crazy affordable!). Shall I do a step-by-step hair tutorial with my wand? Let this girl know, and I'll get on it! I LOVE this skirt. The button down is trendy, but the patchwork takes it to another level! 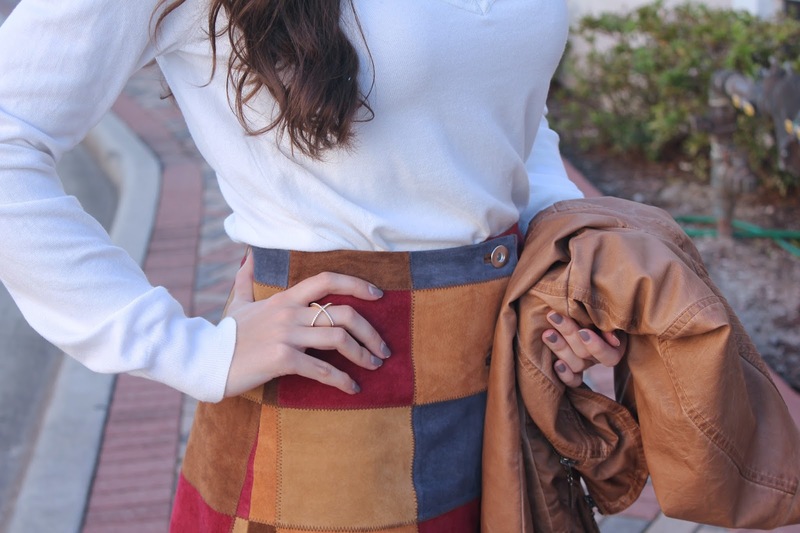 LOVE this skirt, esp with that jacket! perfect pairing! LOVE that skirt... its gorgeous!! Should have known it was from ASOS...that place has everything! that is the coolest skirt.... wow! I usually have the hardest time styling prints like that,but love the way you did it! 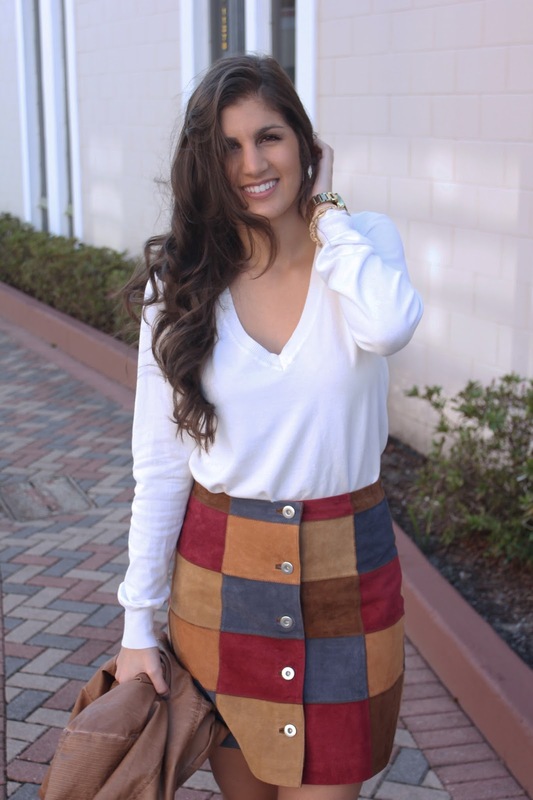 LOVE LOVE LOVE this patchwork button down skirt!!! So perfect! This skirt is GORG! I love the button front design! Such a stunning skirt! I love seeing unexpected things! Well done with this look! 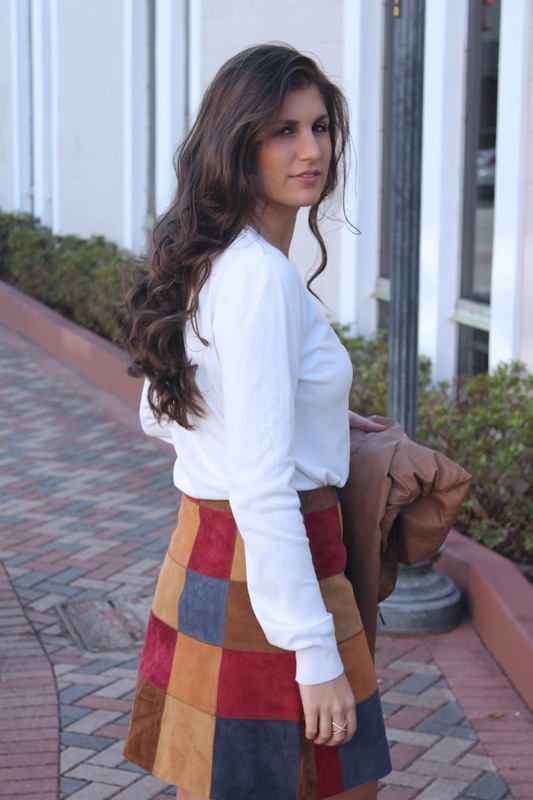 Such a cute skirt...love how you styled it! You totally OWN'D that skirt! Seriously, I love how you paired it with a leather moto jacket!